Caleb Treeze Organic Farm Stops Acid Reflux Organic and Natural is a carefully balanced mixture of certified organic unfiltered raw apple cider vinegar, juice from the ginger plant and just the right amount of all natural garlic juice in special combination so as to achieve almost instant relief from acid reflux. Stops Acid Reflux is a time-proven Amish remedy that almost immediately stops agonizing acid reflux. It can take from 20 seconds up to two minutes to completely eliminate acid reflux. 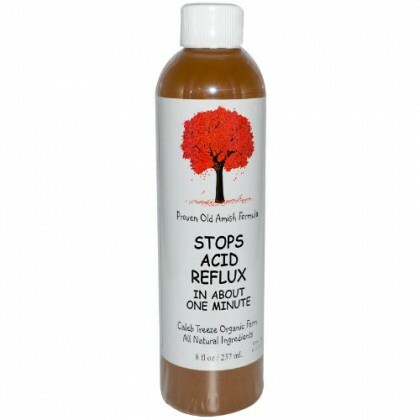 It can take from 20 seconds up to two minutes to completely eliminate acid reflux.